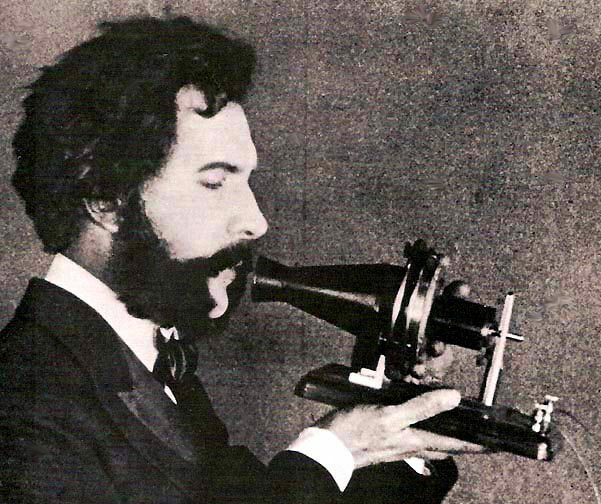 The telephone first sparked into life, thanks to my late compatriot, Alexander Graham Bell in 1876. It was less than apparent to his society about its ultimate potential. Bell and his backers had to invent uses for the telephone and in the late 1870's he took to the road with public telephone demonstrations. Curiously the first phones that were installed were "private lines" that connected only two telephones. Admittedly the prototype device now looks like an antique breathalyser! As telephony become less expensive and more obvious switchboards, automation and centralised infrastructure become important. Despite this, by 1946, a mammoth workforce was required. For example a quarter-million young women were employed by AT&T and each company had significant investment in infrastructure to make calls. Technological (Cellular, digital, fibre optics, satellites) and deregulation changes had a role to play in making telephony ubiquitous and less labour intensive. Today with IT we have a similar inflection point albeit in a shorter space of time. We have a wealth of options and platforms. We also have existing investments in IT infrastructure. Much of this "on premise" IT infrastructure we have come to rely on are important to access the wider world and as such most of the systems we employ are largely there to wrap applications with security and data/service access. In other words there are necessary infrastructure and optional infrastructure. The optional infrastructure didn't start out as inflexible or with the intent of being hard to manage or extend. Its just a victim of the limitations for the application development and hosting at that time. A market didn't exist for public platform as as service and nor did the necessary technology and expertise (perhaps need) to build for it). The humble phone still fits into the necessary infrastructure bucket, but is slowly being transformed into a concept rather than a device. The phone is something you do, not something you use. Security, data and risk with the phone are now largely redundant points. Whilst the so-called Cloud isn't and perhaps never will be the answer to all our on-premise problems, it certainly presents a question of what things we should continue to invest in on-premise. As such it fits squarely into the question of investment in optional infrastructure. By analogy, replacing the phone entirely is significant mind shift. Technically its replacement with new technology is not a problem, but there is change. Rather than removing the phone its typically being augmented by the mobile, the PDA and by underlying technologies such as VOIP. Similarly Windows Azure should not be a wholesale change. Its a technology to augment existing applications making them more flexible, accessible and agile - and ideally cheaper to run. Rather than replacing , moving, migrating or repurposing underlying infrastructure, the platform itself is something familiar and ready for use. Its an application add-on or a application new-up.